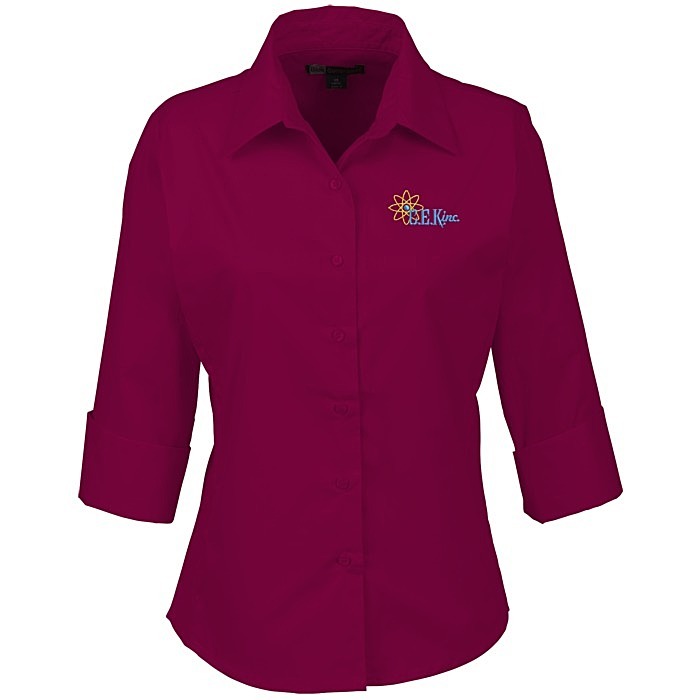 Stretch your advertising budget with these tailored logo'd shirts! Lightweight 4.5-oz stretchy cotton blend blouse from Blue Generation features a super-soft finish and double back yoke for all-day comfort. 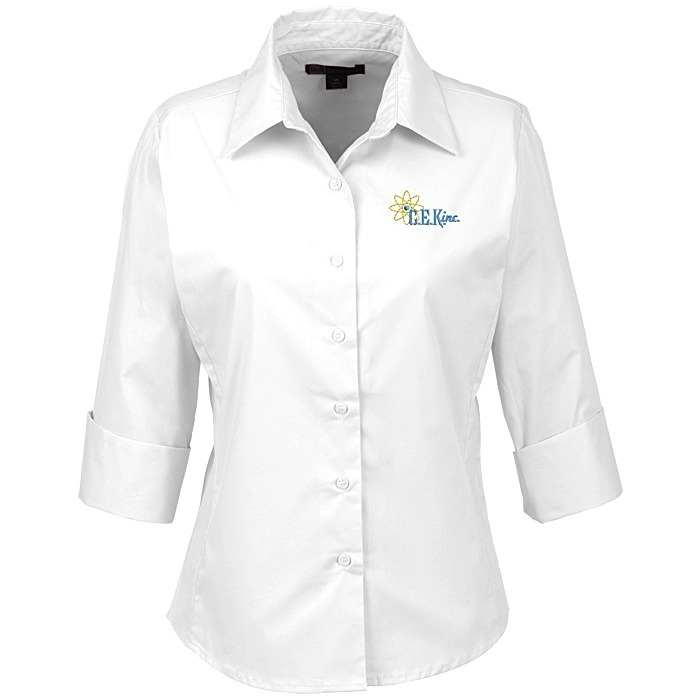 Stain- and wrinkle-resistant fabric keeps your employees looking professional and polished! Feminine design features a flattering, contoured cut, 3/4-length sleeves and pearlized buttons. Made out of a 58/39/3 cotton/polyester/spandex blend of material. 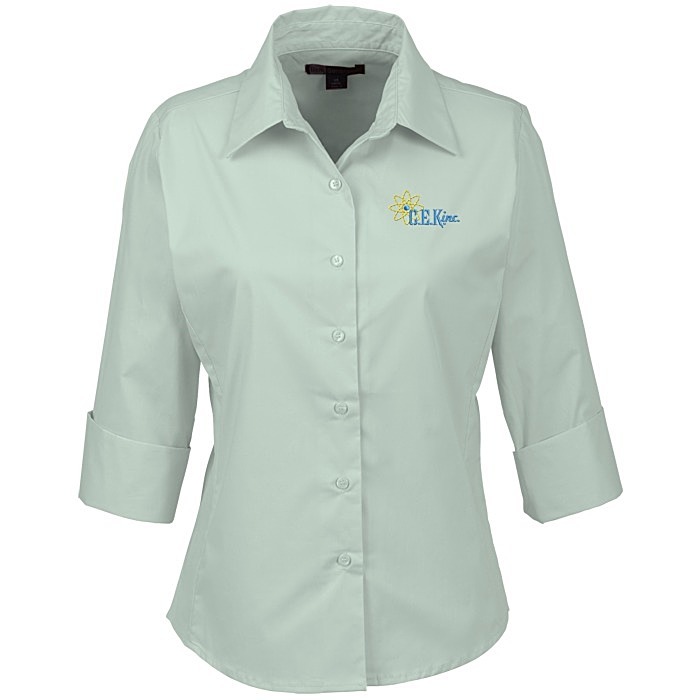 For coordinating men’s shirt, see item #100918-MEasy Care Stretch Poplin Shirt - Men's.